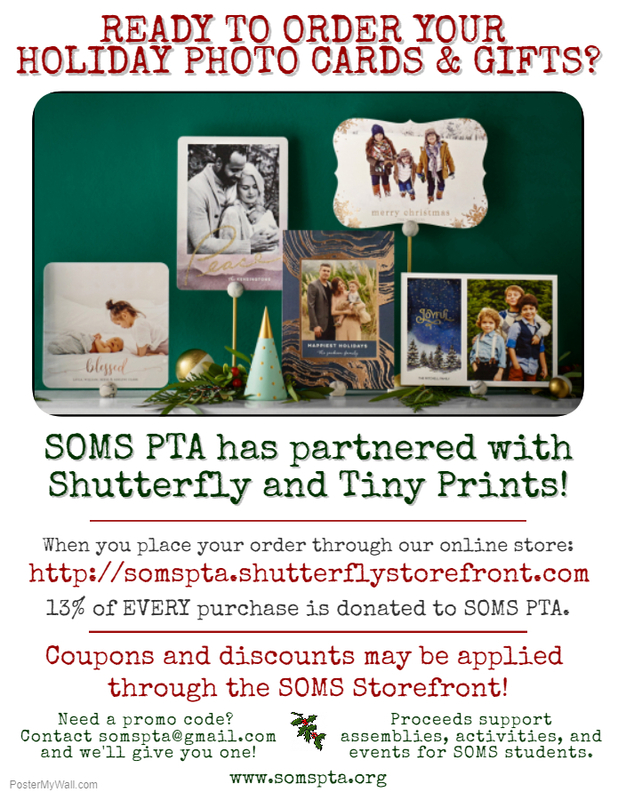 SOMS PTA’s Shutterfly/Tiny Prints Fundraiser! Black Friday is coming – are you ready to order your holiday photo cards and gifts? By clicking on the SOMS PTA online link first, you’ll help us support assemblies, activities and events for SOMS Students! Best of all – you can still use your coupons and discount codes! Don’t have a promo code? Contact us at somspta@gmail.com and we’ll give you one! Need a promo code? Contact us at somspta@gmail.com and we’ll give you one!